Finding Courage - Just One More Week! By this time next week, Finding Courage will be available. I can't wait for all of you to read Duke and Avalon's story. I'm also looking forward to your meeting their dog, Khanrad. I shared before that I created him after our own Khanrad. Just look at that face over there! Khanrad was quite the character and one of those dogs you never forget. He was also a talented escape artist. I'm not even joking. We had a six-foot chain-link fence and he would climb up and over it whenever he wanted to get out of the yard. Before we realized he did that, my husband and I would be at work, and we'd come home to find Khanrad sitting on the front porch waiting for us. Neighbors would then tell us that he just wandered the area while we were gone. He could hear our vehicles and would make sure he was on the porch before we got close enough to see him. Ha! He didn't just escape the yard. One time, he saw a dog in our front yard and he went right through the screen of the open window. I'm convinced he would have gone through the glass had it been there. He ran that dog down the street, caught up with it, pinned it to the ground, then let it up again and walked home. I think he just wanted to stress that it was his yard and the other dog was to stay out of it. I hope you enjoy Khanrad's antics in Finding Courage. I certainly feel honored to have the opportunity to share him with all of you. Finding Courage is available for pre-order now and will be released October 1st. You can get it for the introductory price of $0.99 through October 4th. It takes courage to ask for a second chance … even more to extend one. I'm excited to have Author Katy Huth Jones on my blog today as she reveals the beautiful cover of her newest book, Mercy's Gift. This is the second book in her fantasy series He Who Finds Mercy. The clandestine efforts of a witch hired by one of the lords render Valerian's gift of Sight ineffective, and Merry's Healing gift is sorely tested. Guest Blogger: Lethal Legacy in Dreamland - FREE! FREE through Friday on Amazon! What’s the ghost of Al Capone doing in Dreamland, Arkansas? Trixie’s willing to live and let live, but he doesn’t seem to be so tolerant! Trixie Blake barely remembers her small hometown or the grandfather who left her the Quimby Building on the antiquated town square. Newly-widowed and at loose ends, she treks to Dreamland to look for a fresh start. It takes less than twenty-four hours to discover she’s in the path of a shadowy development company’s plans to take over all of Dreamland’s historic downtown. That is, if they can persuade the three hold-outs to sell and move on. When Trixie decides to become hold-out number four, her already precarious situation deteriorates rapidly. She finds an odd assortment of allies: the Drummond sisters, two feisty senior citizens who run the Sunshine Style Shoppe on the first floor of Trixie’s building; Rudy James, a former high school classmate (now the proprietor of the Twilight Bar and Grill); Glen Ellard, the long-time mayor who owns the town’s only hardware store; Hetty Green, a retired teacher who keeps her fingers on the pulse of the town; Danny Jefferson, who doesn’t let his Down Syndrome define him; Mitch Langley, whose connection to the development company is too close for comfort; and Candace King, self-appointed head of the Dreamland Historic Association, who knows the town’s dark secrets. On top of everything else, Trixie’s great-grandfather’s buddy Al Capone seems to be still in residence on the Quimby Building’s second floor. Does he also get out and about to vandalize Trixie’s hotel room, slash her tires, and make threatening phone calls? And why does Police Chief Doug Everton want Trixie out of town sooner than later? Has Al met his match in Trixie Blake, or is he just a bystander in a seedier plot? Follow Trixie’s saga with Desperate Deception in Dreamland and Ghostly Gambit in Dreamland. book-related information, and the occasional freebie offer. Not too sweet and not too spicy! Hello everyone! Please welcome Author J.J. DiBenedetto. I'm excited to have him on my blog as he shares the cover for his newest book. 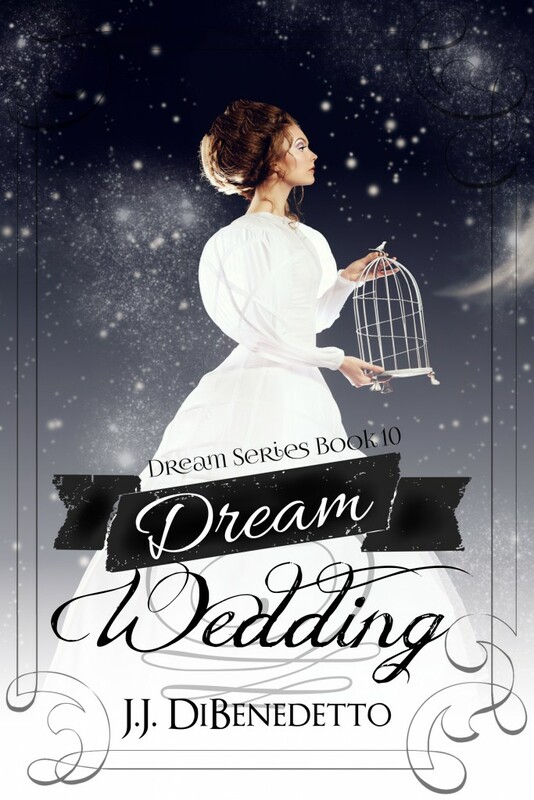 Dream Wedding is the tenth and final book of the Dream Series. If you can't wait for October 20th (and I don't blame you if you can't! ), all nine of the previous Dream Series books are available on Amazon as well as many other eBook retailers (visit my website to see the full list of where to buy them!). You can also check out my website (listed above), as well as Facebook and Twitter for the latest Dream Series news. 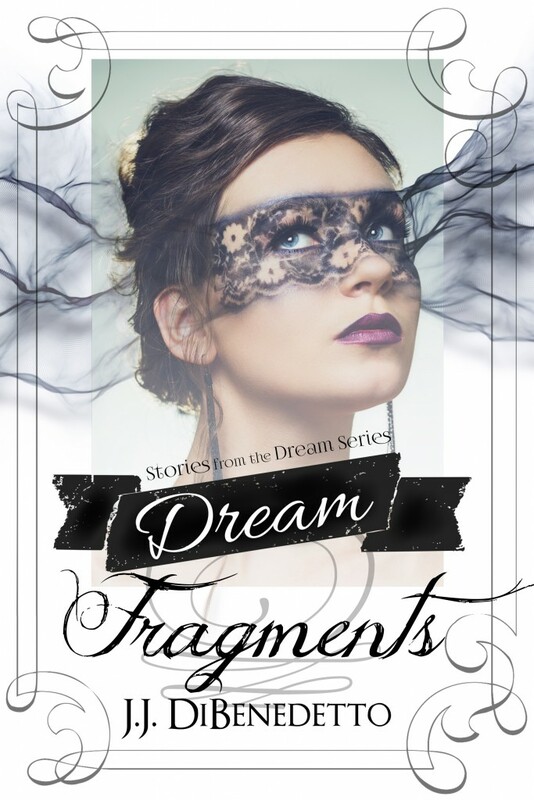 Or you can click here to download a quick guide to the Dream Series and me!